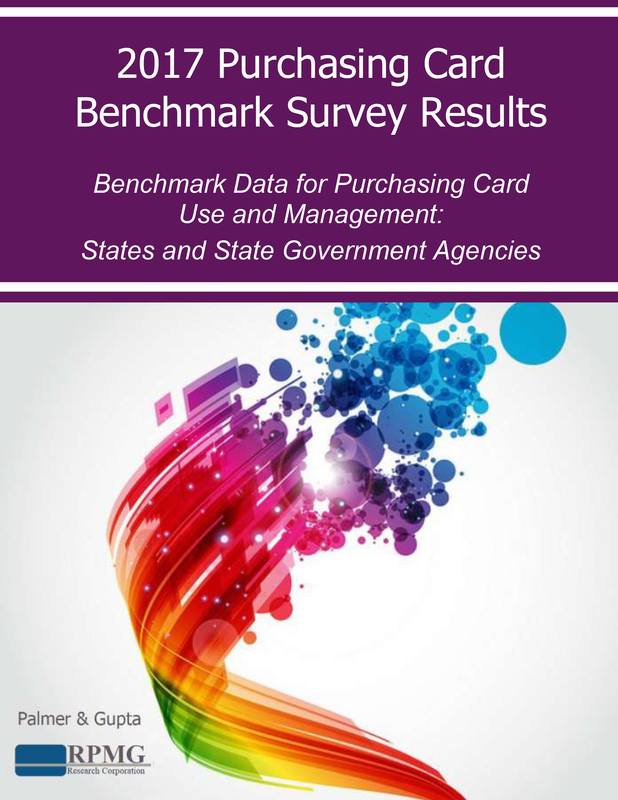 Benchmark Data for Purchasing Card Use and Management: States and State Agencies (Large, Mid-Size, and Small) This report presents benchmark data points for States and State Agencies (large, mid-size, and small), including: average number of plastic purchasing cards; card-to-employee ratio; average monthly p-card spending; the percentage of transactions paid with p-cards; spending per transaction; monthly transactions per card; spending per card; and the percentage of active cards in a typical month. We also present data related to program governance and control, specific to States and State Agencies. The report includes the level of employee, top management, and supplier acceptance of p-cards, average spending limits and management thereof, use of electronic transaction controls, auditing, training and communication policies, use of technology to enhance the procurement process (mobile devices, e-procurement software, data integration, receipt retention, and web-based applications), card issuer relationship management, and more.